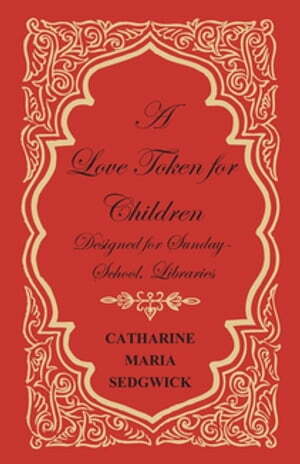 Collins Booksellers - A Love Token for Children - Designed for Sunday-School, Libraries by Catharine Maria Sedgwick, 9781473344433. Buy this book online. "A Love Token for Children" is an 1844 collection of short stories by Catherine Maria Sedgwick. Originally designed for inclusion in Sunday-School Libraries, the stories revolve around issues of morality and ethics, tackling subjects such ad drinking, gambling, debt, etc. Catharine Maria Sedgwick (1789 - 1867) was an American novelist and prominent supporter of Republican motherhood whose work is frequently referred to as "domestic fiction". Other notable works by this author include: "Hope Leslie" (1827), "The Linwoods" (1835), "Live and Let Live" (1837). The stories include: "The Widow Ellis and her son Willie", "The Magic Lamp", "Our Robins", "Old River", "The Chain of Love", "Mill-hill", "Mill-hill (Part Second)", and "The Bantem". Many vintage books such as this are becoming increasingly scarce and expensive. It is with this in mind that we are republishing this volume now in an affordable, modern, high-quality edition complete with a specially commissioned new biography of the author.